The latest squad selections for the Portuguese national teams have been announced and, as ever, Sporting are greatly represented. The biggest news is Gelson Martins’ first called up to the senior squad by Fernando Santos. The winger’s excellent start to the season has not gone unnoticed however Rúben Semedo has not made it to the senior team and is included in the U21 squad. Elsewhere there were players selected for the Women’s side as well. Susana Cova named 5 Sporting players in her U19 team and 3 Sporting players were selected for the U17 team. There’s plenty of big news to catch up on with the Champions League draw, the signings of Douglas and André, the departure of Alberto Aquilani, and the usual transfer rumours. It’s looking like 3rd place is going to be the most likely outcome of that group but the return of Cristiano Ronaldo should be a great moment. Madrid, Dortmund and Legia will also be the opponents for Sporting’s U19 side as Sporting return to the UEFA Youth League. Yesterday Sporting also completed the long expected transfer of Douglas Teixeira from Trabzonspor. 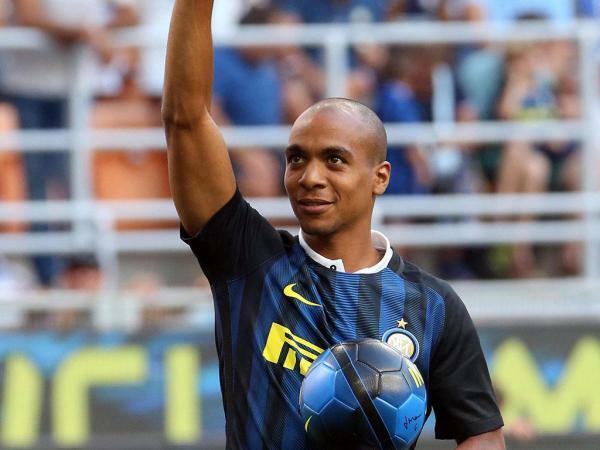 The Brazilian turned Dutch central defender has a 3-year contract with the option of an extra year. 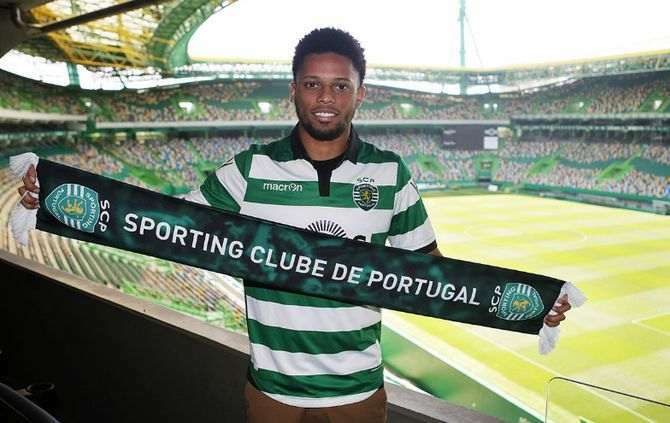 No word of a transfer fee but the 28-year old is going to find it difficult to get in the team ahead of Rúben Semedo and Sebastián Coates. This is should accelerate the departures of Naldo, rumoured to be joining Krasnodar on loan shortly, and Ewerton. The departure of Alberto Aquilani has finally concluded. 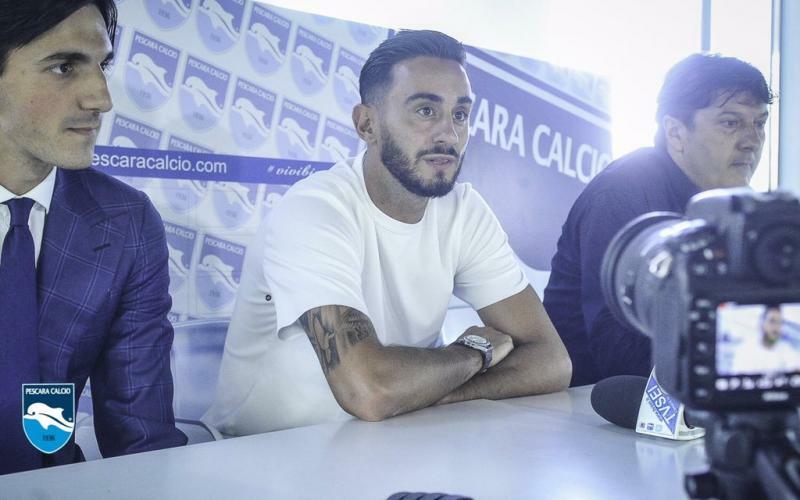 The Italian midfielder rescinded his contract and has joined Pescara. 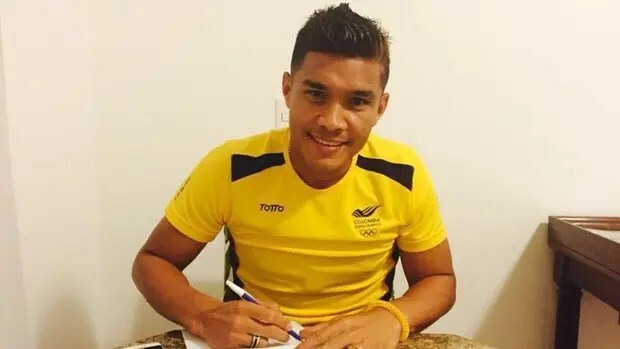 Before that, on Wednesday evening there was the signing of Brazilian forward André from Corinthians. 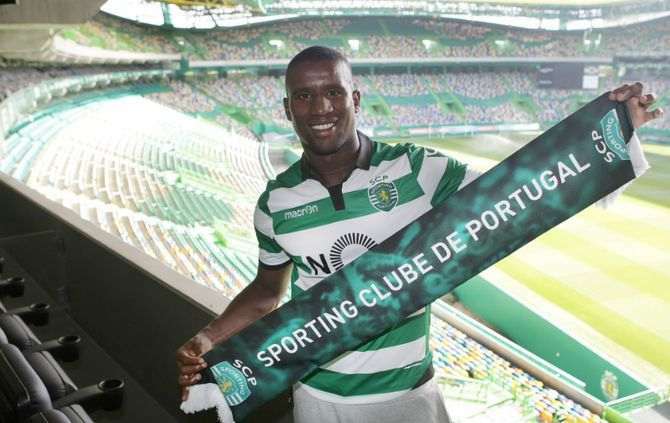 Apparently, Sporting have used some of the debt owed the club by Corinthians (back from the transfer of Elias) as part of the transfer fee but no official word on the value. André signs a contract until 2019 with an option of 2 more seasons and a release clause of €60,000,000. According to O Jogo, Sporting want to give a new contract to Gelson Martins. Martins currently has a contract until 2021, however Sporting want to increase the player’s wages as well extend the length of the contract. A Bola say that there are Primeira Liga clubs looking to sign Daniel Podence on loan, with Sporting willing to allow the player to gain experience elsewhere. Finally, the rumours of the signing of Bas Dost have returned. If you believe all the rumours then Sporting have competition from some English sides however should Sporting sign the Wolfsburg man it is likely it could lead to the exit of Islam Slimani. It was a disappointing result for Sporting’s first competitive friendly of the 2016/2017 season, losing 4-1 to Leonardo Jardim’s Monaco in Switzerland. Jorge Jesus started the game with just one recognised midfielder, debutant Radosav Petrović played alongside captain Bryan Ruiz in the middle of the pitch. Otherwise, there was some familiar names to the starting line-up. Sporting started off well but Valère Germain scored early on for Monaco. Daniel Podence pulled one back with great skill after the 20 minute mark but the lead didn’t last long when Radamel Falcao was given space in the box to head home. In the second-half Monaco were much the better side, ex-Sporting manager Leonardo Jardim’s side were clearly in better shape and sharpness after having started pre-season earlier. Radamel Falcao grabbed a second to make it 3 before Guido Carrillo finished the scoring. Sporting will be back in action tomorrow against Stade Nyonnais before facing Zenit St. Petersburg, PSV Eindhoven and Lyon. Goal of the Season: João Mário vs. Vitória de Setúbal (Link) – This goal sums up João Mário’s breakout season. He glides around the pitch and then rockets an unstoppable shot into the net. Of course, being such a classy player, he doesn’t celebrate against the club he had a loan spell with. Beautiful. Worst Signing of the Season: Hernán Barcos – This was a tricky award to give out, thankfully. Barcos, however, was a strange singing. He arrived in part exchange for Fredy Montero in another example of football’s exodus to China. Yet, the timing was off. Montero had just won us 3 points on his own in the previous game against Académica and, had we kept the Colombian, he could have made the difference later on in the season. Barcos failed to really stand out on any of his subsequent appearances. Best Signing of the Season: Jorge Jesus – Talk about a coup. None of us what would have though last year that Jorge Jesus would be our manager. Bruno de Carvalho pulled off a wonder in bringing him to the Alvalade. The quality of football has been brilliant since he signed and what’s more impressive as this was done in a season where half way through we changed our entire defence. The only blot is the lack of a major trophy but regardless it was the best Sporting team in some time. We only hope he sticks around to win the league for us next season. U23 Player of the Season: João Mário – Starting the season at 22, the now 23 year old has been one of the best footballers in the country this season. With a new position under Jesus as a creative wide midfielder he has managed to be an important key to unlocking defences. He is was one of the classiest players to grave the Alvalade. B Team Player of the Season: Daniel Podence – This would have been Matheus Pereira’s award but althougth Brazilian was outstanding for the B team, his first team commitments limited his playing time. Instead, Daniel Podence is deserving of the award. Despite his stature, he’s starting to excel as a creative and tricky winger with goals to his name. A season long loan at a Primeira Liga club, similar to what Iuri Medeiros just had, would be great way to continue his development. Player of the Season: Islam Slimani – The stats speak for themselves with Islam Slimani. The Algerian has been on fire with 31 goals in all competitions this season that has made it impossible for defences to deal with his aerial ability and predatory instincts. His goals against Porto and Benfica showed what a big game player he is as well. Slimani is an admirer of Jorge Jesus so hopefully he may stick around next season. The two teams left it late to produce goals as Sporting B travelled to take on Freamunde. Daniel Podence got the first goal in the 87th minute before Matheus Pereira grabbed a second in the second minute of injury time. There was still enough time for Pedrinho to pull one back for Freamunde but Sporting came out on top. With the long-term injury of Mauro Riquicho, João de Deus gave a debut to 19-year old Ivanildo Fernandes at right-back. With Sambinha defended Fabrice Fokobo dropped into defence and Diogo Salomão also started his first game this season. Freamunde were the better side in the game for most of the first and second halves. Pedro Silva was required on occasion and Freamunde will also be unhappy with their in ability to finish. Sporting B, however, persevered and were rewarded just 3 minutes from the end when Daniel Podence sped through the Freamunde defence Rui Nereu. Just 5 minutes later Matheus Pereira also burst through the Freamunde defence. The Brazilian went round goalkeeper Nereu before calmly finish to guarantee all 3 points. Freamunde did grab a consolation goal through Pedrinho but it was far too late in the day for them to try and save a point. This result now puts Sporting B in second place in the Segunda Liga. The first derby of the season was another highly exciting encounter at the Estádio da Luz. Jorge Jesus’ Benfica welcomed back Enzo Peréz into the team after he missed the win against Boavista through injury. Ruben Amorim picked up an injury in that game was replaced by André Almeida in the starting line-up. Sporting were still without regular right-back Cédric Soares so Marco Silva kept faith in youngster Ricardo Esgaio over the recently recalled Miguel Lopes. William Carvalho was restored into midfield in the place Oriol Rosell after he served his suspension and Islam Slimani also recently patched things up with Sporting management and he started up front ahead of Fredy Montero. It was the home side who began the game the better as Sporting struggled to settle down. It was the visitors who had the first sniff at goal when a Jefferson corner found the head of the returning Islam Slimani but the Algerian’s header missed. Talisca had the first opportunity for Benfica when his freekick was tipped over by Rui Patrício. The goalkeeper was called into action again when Luisão found space after a short corner routine. Benfica opened the scoring with a fantastically worked goal. Eduardo Salvio and Maxi Pereira combined well down the right-flank. Maxi’s flick found Nico Gaitán whose shot was powerful enough to beat Rui Patrício and send the home fans into raptures. It took a while for Sporting to grow into the game. They were given a gigantic helping hand by the fringe of Artur. The goalkeeper was closed down by André Carrillo and after a bad touch he could only fire his kick directly at the Peruvian. The ball bounced kindly for Islam Slimani to head into an empty from less than a yard away. It was a farcical goal that may mean that Júlio César will be in-between the sticks for Benfica’s next game. Their next chance again came to Islam Slimani. Adrien Silva’s shot was blocked and fell into the path of the striker behind the Benfica defence. His shot was a tame effort easily caught by Artur. Sporting’s high pressure made the entire Benfica back line nervous with Sporting managing to create attacks by capitalising on mistakes. The home side had to good chances to take the lead soon after the restart. Nico Gaitán found space down the left-hand side but his audacious attempt to chip Rui Patrício went over the bar. Soon after Salvio also had a decent effort from outside the area that just went wide. Benfica had a spell of dominance with a half hour to go after a series of chances. Salvio’s chance was the better of the 3 or 4 great chances the home side created. 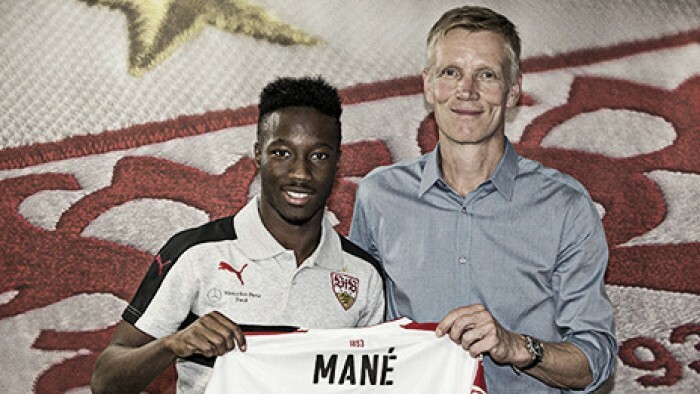 Lima did well down the left hand side and easily got the best of Naby Sarr. Lima’s pull back found Salvio on the penalty spot but his shot was well saved by Patrício. Salvio had an even better chance 5 minutes later when Sporting’s defence was easily cut open once more. Lima’s cross from the left hand side found Salvio in acres of space but the Argentinian’s shot hit the wrong side of the netting. With 12 minutes left Nico Gaitán almost got his second from a corner but his header went just over Patrício’s post. Islam Slimani almost won the game for Sporting just 2 minutes from the end when he found space at the far past after Nani’s cross. The striker’s shot was stopped by Artur to keep the scores level. It was another fascinating and compelling derby and in the end the scores were perhaps reflective of the game despite Benfica having the better of the second half they could easily have let it slip in the dying minutes. Meanwhile Sporting B went from 0-1 up to 2-1 down away to Beira-Mar earlier on Sunday. Daniel Podence grabbed the opener for Sporting B but veteran striker Índio gave Beira-Mar the win with 2 goals in 2 minutes. It was Sporting who had the better of the first half, dominating possession and Daniel Podence’s curling effort after 19 minutes gone was certainly indicative of the away sides play in the first half. Beira-Mar improved drastically after the break but it was two set pieces that were the downfall of Francisco Barão’s side. First, Mauro Riquicho gave a freekick away for a foul on Billal Sebaihi. Íncio converted from the freekick. Sporting shot themselves in the foot in the 3rd minute of stoppage time after conceding a penalty. Again, Íncio stepped up and struck his effort past Luís Ribeiro. Finally yesterday also saw the departure of former Sporting B goalkeeper Mickaël Meira to AEL Limassol on a full transfer for an undisclosed amount. Meira will be joining up with on-loan Sporting player Zezinho – the Cyprus club having a large Portuguese contingent there..
Mickaël Meira spent 5-years coming through the youth ranks at Sporting after signing from Fátimo in 2009.